Welcome to the most electrifying city in the world on the most exiting night of the year. It’s the perfect match! 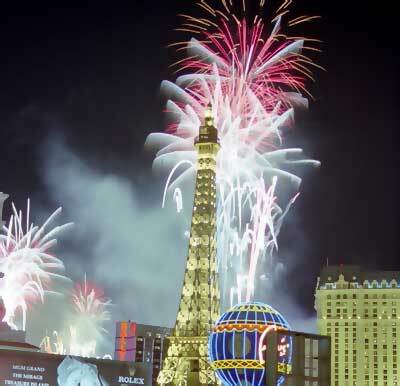 It is New Year's Eve in magnificent Las Vegas Nevada. Either spend your time on the Strip with the younger singles crowd, or party it up downtown at the Fremont Street Experience with the mostly 30’s plus crowd. Welcome to America’s Party New Year’s Eve! Weather – Warm in the day cool at night. Bring a jacket.